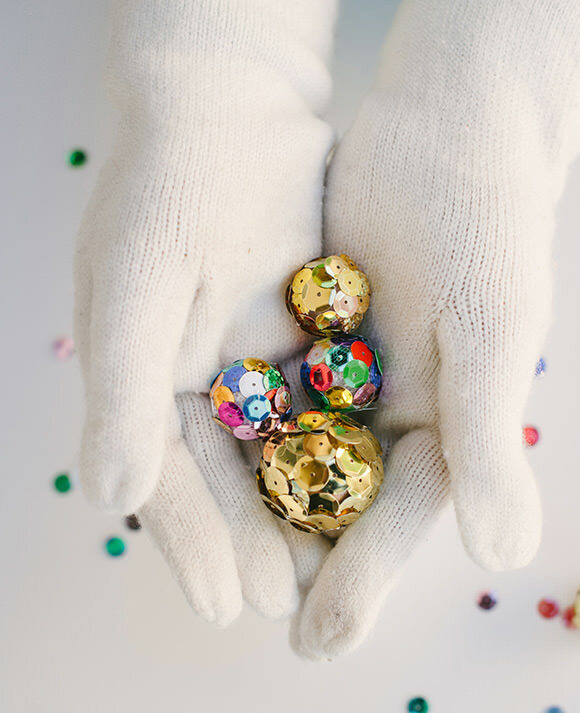 Here’s a fun project to bring you into the New Year and brighten up your space all winter long. 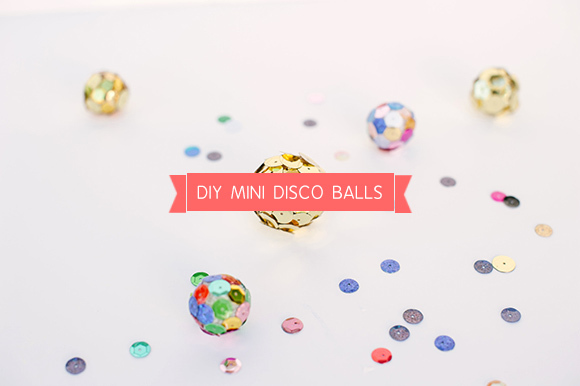 These miniature disco balls are a cinch to make and can be used to top cakes, line a table or even hang on the tree for a last minute addition. 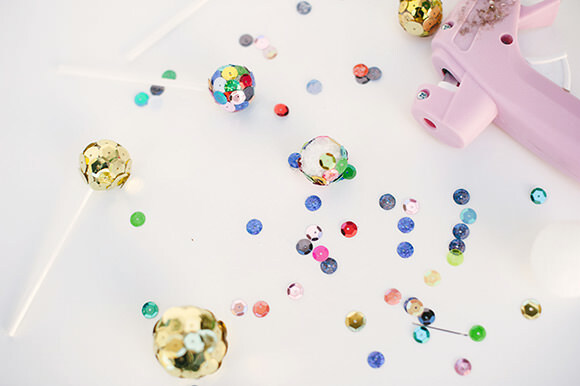 Divide your sequins by color and beginning on one side start glue them on, one by one. Be sure to overlap each sequin just a bit for a full disco ball look. 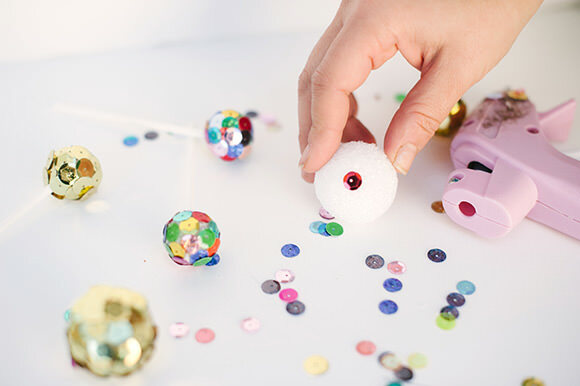 For cake toppers, stick a small Popsicle pick into each ball, leave laying around the table for a festive evening at home or string together for garland for a fun party display. AH! super cute and simple! great idea. Those are super cute! I’d love to make a giant version of them, not sure how to yet though! Ooooh, disco balls! Fab idea! I’ve got a pile of crafting rhinestone and may try something similar with them. 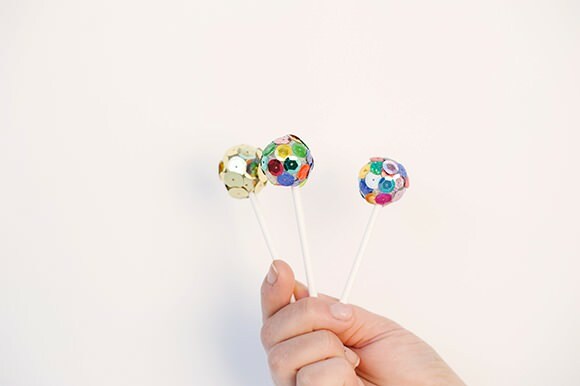 I guess they wouldn’t be disco anymore, but still glittery and fab-u-lous! So cute! I have a lot of sequins and rhinestones in my stash. I will give this a try. Thanks!